Flowers of the Ocean exhibit at the Museum of Newport History, August 2014. I spent the summer of 2014 as a Buchanan/Burnham Fellow in Historical Interpretation at the Newport Historical Society. There I researched the rise and fall of natural history as a hobby in Newport. 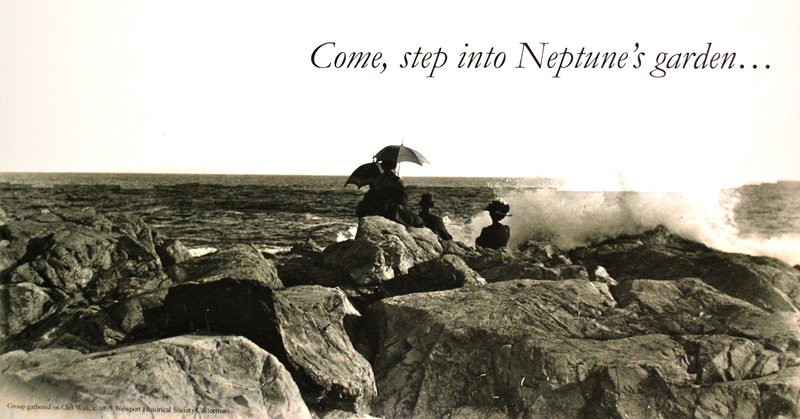 As part of this project, I curated a small exhibit on nineteenth century seaweed collecting. Collecting algae seemed a delicate and virtuous pastime, ideal for female naturalists. Rather than spend their seaside days in idleness, collectors could admire the glories of creation, develop knowledge of marine botany, and ramble in the fresh air. But around the year 1900, competing with other forms of amusement, seaweed collecting faded in popularity. Hundreds of delicately arranged, pressed seaweeds survive in the Newport Historical Society’s vaults. 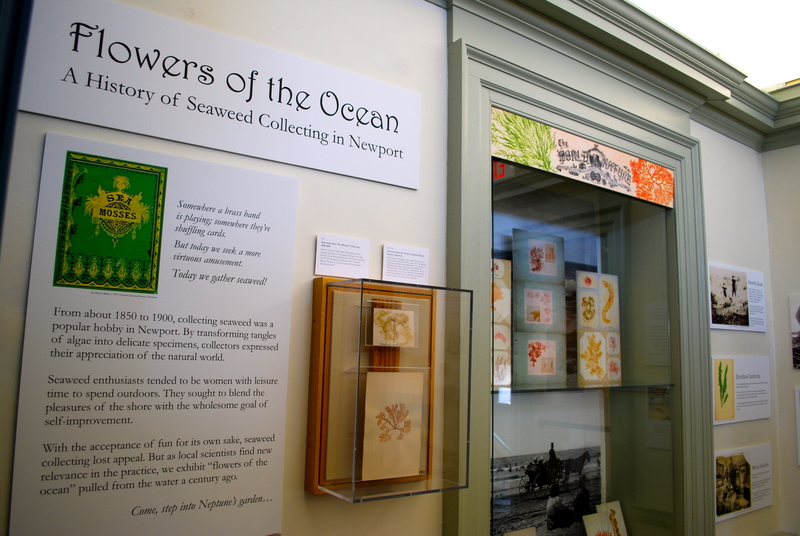 Entitled Flowers of the Ocean: A History of Seaweed Collecting in Newport, this exhibit features seaweeds from three different collections. Detail from Flowers of the Ocean exhibit at the Museum of Newport History, 2014.